As is stands now, there are exactly 22 months and 2 days till I can get out of the work-a-day rat race! 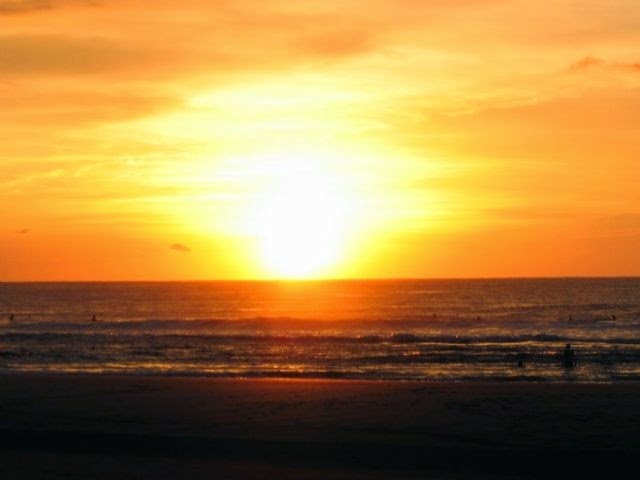 Right now, the beach lovers, have made living on the beach the focus of attention and so we have been looking at videos and trying to familiarize ourselves with the beaches of Costa Rica. I have to admit, the beach was never very high up on my list as I am pretty sure that I will melt like a Hershey bar in the scorching heat...but on the other hand, could there be anything that says retirement more than a house on the beach? So, I am keeping an open mind and going along with the group for now. This weekend's research centered mostly on the town of Tamarindo. 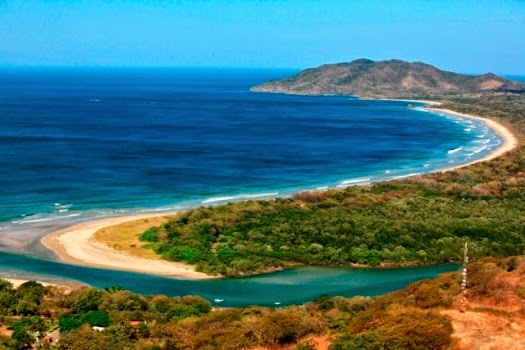 Tamarindo is located on the Nicoya coast on the northern Pacific coast of Costa Rica in the province of Guanacaste. The area has a population of about 3.525, however the town itself has a population of about 500. We watched a lot of videos about this popular destination spot with its beautiful beaches and even more beautiful sunsets. The area is very popular with surfers and there are a host of water sports and activities to engage in. Since I'm not a water person, I am more interested in the boutiques, access to shopping, restaurants and how close we are to medical facilities. We are in the process of doing our due diligence on Costa Rica. Anyone considering relocating (especially to another country) should be sure to do plenty of research BEFORE making a decision. There are several recommended Due Diligence Tours offered in Costa Rica where you can find out everything you need to know about the all important questions regarding relocation. I will continue to post about Tamarindo as we proceed through our process of discovery. One thing is for sure. Even if we don't end up living near the Guanacaste area, I HAVE to experience one of those sunsets for myself. I saw enough videos to believe that those amazing sunsets actually do exist!